A practicing metaphysician for more than 30 years, Prof. Rosenkrantz started at UNCG in 1976 as an Assistant Professor and became a full professor in 1994. He has served as Department Head for many years. His current research is concerned with the nature of life. Michael J. Zimmerman, who was born and raised in England, received his BA in philosophy from Yale University and his MA and PhD in philosophy from the University of Massachusetts at Amherst. He came to UNCG in 1988, having taught previously at Rutgers University and Brown University. He specializes in ethics. 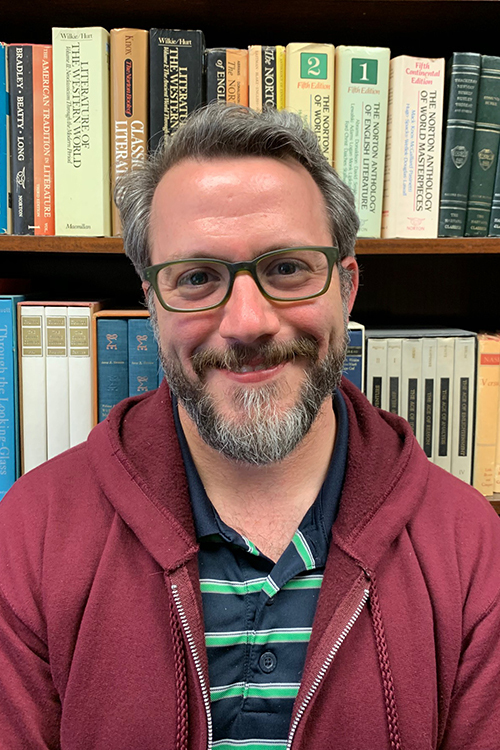 Although he teaches courses in both theoretical and applied ethics, his research focuses chiefly on issues in theoretical ethics. He has published eight books, with another forthcoming in 2014, and has written roughly eighty articles, chapters, and reviews. He has also given roughly eighty talks in both the US and other countries, including Canada, Denmark, France, Holland, Israel, Italy, New Zealand, Poland, Portugal, Switzerland, and the UK. In 2011 he gave the 36th Hägerström lectures in Uppsala, Sweden. He has twice been the recipient of research fellowships awarded by the National Endowment for the Humanities. He has served frequently both as an external examiner for candidates for the PhD and as an external evaluator for candidates for promotion and tenure at other universities, both in the US and abroad. He is a member of the editorial board of Ethics, the leading journal in the field, and regularly referees submissions to it and other professional journals and presses. In 1997, he received a Standing Ovation award for teaching from Disability Services at UNCG, and in 1998 he received a Research Excellence award. In addition, he has served on a variety of committees at UNCG. Prof. Gert received her Ph.D. from Brown University in 1991 and went on to Texas A&M University, where she taught until coming to UNCG in 2005. She has taught a variety of courses here, ranging from small seminars on the Later Work of Ludwig Wittgenstein and Philosophy of Psychology to larger classes on Contemporary Moral Problems and Medical Ethics. This last class, Medical Ethics, is taught in an online version as well as in the traditional classroom setting. She is a member of the Ethics Committee for the Moses Cone Health System, and in that capacity, she developed and teaches a continuing education ethics course for health care professionals. 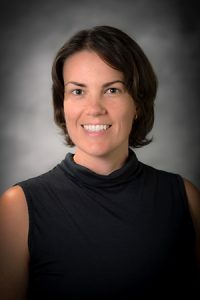 Janine Jones is an Associate Professor in the Philosophy Department at UNCG, who teaches Introduction to Philosophy, Philosophy of Race and Gender (which is cross-listed with WGS), Philosophy of the Arts, and Philosophy of Mind. She is also an adjunct faculty member of Women’s and Gender Studies. Her publications include “The Impairment of Empathy in Goodwill Whites” in What White Looks Like, ed. George Yancy. Routledge 2004, “Illusory Possibilities and Imagining Counterparts” Acta Analytica (2004), and “Can We Imagine This Happening to a White Boy?,” which appears in Pursuing Trayvon Martin: Historical Contexts and Contemporary Manifestations of Racial Dynamics (Lexington 2012), a book she co-edited with George Yancy. Her philosophical interests lie at the intersection of issues pertaining to imagination, language, socio-ontological reality, and race and gender. This includes problems related to intersectional or interlocking identities and analyses of oppression. Richard Gallimore joined the UNCG Department of Philosophy in 2002. He graduated with honors in philosophy from the University of North Carolina at Chapel Hill and earned his M.A. and Ph.D. from the University of Rochester in Rochester, NY. He specializes in epistemology and metaphysics. His research interests include naturalized epistemology, skepticism, and theories of epistemic justification. His contributions have appeared in Philosophical Studies and the Blackwell Companion to Metaphysics. Wade Maki teaches a variety of courses in Philosophy and for the Bachelor of Liberal Studies program with topics ranging from Business Ethics to The Meaning of Life. Wade is known for his innovative use of technology in both classroom and online courses. He has also connected students to the community through a partnership with Piedmont Business Ethics Award; applying ideas and concepts to real world problems is an important pedagogical focus. In addition to teaching, Wade has served the university in many roles including: Director of the BB&T Program on Capitalism, Markets, and Morality; Co-Director of the Faculty Teaching and Learning Commons (FTLC); FTLC Faculty Fellow for Online Learning, Faculty Senate and numerous other university committees. A fuller account of research, teaching, and service activities can be found on the curriculum vitae below. Having grown up in northern Minnesota where the growing season is extremely short, Wade has taken to southern gardening. Attracted to the Zen of Asian gardens, Wade’s yard is full of Japanese maples, conifers, Asian statuary, and numerous Japanese lanterns. He also grows vegetables, fruits, and herbs including the Stokes purple sweet potato. Wade also enjoys most things involving technology, history, Hobbits, or Sith Lords. Frances Bottenberg has research and teaching interests in philosophy of mind, phenomenology, philosophy of art and philosophy of education. She received her M.A. from Temple University in Philadelphia and her Ph.D. from Stony Brook University on Long Island. Some of her recent publications include “Emotion as the Animation of Value,” “Searching for Alterity: What Can We Learn from Interviewing Humanoid Robots?” and “Power-sharing in the Philosophy Classroom: Prospects and Pitfalls”. Bottenberg is currently working on a book about dignity. 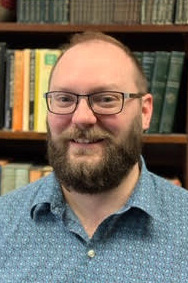 Michael B Matteson II received his BA in Philosophy at Southern Methodist University and his MA in Applied Ethics from Bowling Green State University before spending several years in PhD studies at the University of Tennessee. His main interests are in the areas of ethics and social/political philosophy, especially areas of applied ethics, just war, and bioethics. When he’s not teaching philosophy, he can be found trying to grow things in the garden, entertaining his dog, creating video content, or playing video and table top games with his friends. Adam Rosenfeld completed a B.S. in Chemistry and a B.A. in Philosophy at the University of Texas, Austin in 2002, and received his PhD in Philosophy from Stony Brook University in 2012. He specializes in Philosophy of Science and Technology, particularly with respect to the technological aspects of scientific inquiry and the epistemic dimensions of technological systems. 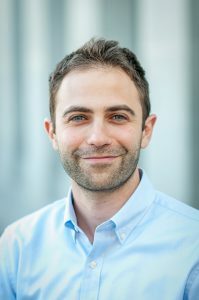 His dissertation explored the nature and role of fiction and make-believe in scientific modeling and simulation practices and his current interests include the ways that technological systems shape moral choices, food ethics, and environmental/sustainability ethics, and the philosophy of games, play, and make-believe. Additionally, Dr. Rosenfeld has a background in the history of philosophy (especially ancient philosophy), hermeneutics, and phenomenology. Chris Metivier has been teaching at UNCG since 2007, usually Ethical Issues in Business, Computer Ethics or Death and Dying. Chris is also a hobbyist programmer and has developed several online courses, as well as some online tools for instructors to manage their courses. Chris is currently working for the Division of Continual Learning but also teaches several online courses for the Philosophy Dept every year.